REACT Defense System is another outstanding gym situated in United States, Chandler in Arizona to be precised. 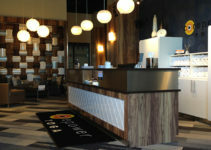 This gym is located at 2541 N Arizona Ave Suite 3, Chandler, AZ 85225. REACT Defense System is a reality based self defense and conditioning training centre. 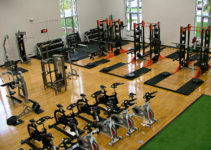 This gym was established in 2001. The gym is owned by Jay Ackerman. 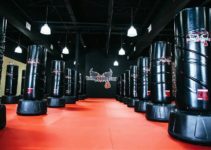 Jay Ackerman, who has trained in martial arts and fitness for the past 30 years, is the owner of Krav MagaTM and Fitness of Phoenix, Chandler and Glendale. He is a fully certified Krav Maga™ and Advanced FORCE Training (civilian law enforcement) Instructor who founded R.E.A.C.T.™ (Reality Environmental Adrenal Conditioning Training) Defense and Tactical Black™. These systems emphasis hand to hand combat, weapon on weapon, weapon retention, firearms safety, and environmental scenario based training. Jay also created A.L.E.E.T. 24™ (Advanced Level Explosive Endurance Training). This program trains law enforcement, military, professional athletes and the average person to lose weight and get into incredible shape. Additionally, Under Jays’ instruction, the school was named Krav Maga™ Worldwide School of the Year in year 2005 and again in 2007. He received the Humanitarian Award in 2007 – 2012 for his efforts in training law enforcement and raising money for the REACT Defense Systems. Worldwide Regional Training center in Arizona, you’re encouraged to accept no alternatives, as this is the most elite self-defense training in the valley. They offer free trial classes, and you know what? You’re always welcome! Tom M. Chandler, Arizona. reviewed that he has been training here for a little, that this has been the best workout and fighting system he has trained in. And that he wished he would have found it when he was younger. “Besides learning practical ways to defend yourself teaches you to push through to levels you did not know. Manny and the other trainers are great. No egos just people looking to train hard and learn real world scenarios”, he added. Furthermore, Cajun B. from Gilbert, AZ. also reviewed that: he also loves the gym. And has been training there for over 3 years and still learn something new in every class. Thanks for the awesome training, concluded. Melanie N. who also from Gilbert, Arizona added that the gym has great trainers and he has trained in all locations. He mentioned that the instructors are professional and knowledgeable. He said that the gym treats for all levels of training, and he is always sad when class is over. Though he always enjoy himself.